Thank you for your looking at my Checkatrade page. 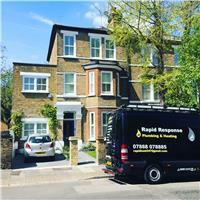 We are a Hackney based Company, and also cover the surrounding areas. We appreciated the idea of people working in your home can seem daunting, but promise that whatever work we undertake, you will not be aware that we have been there. That's why we offer a friendly service and will provide you with professional advice, excellent customer service, free quotations and emergency call out. We can be found on the GAS SAFE REGISTER (formally Corgi) and we are fully insured. We plan jobs well to give you a clear sense of how long it is going to take and how much it will cost, so that you stay in control.